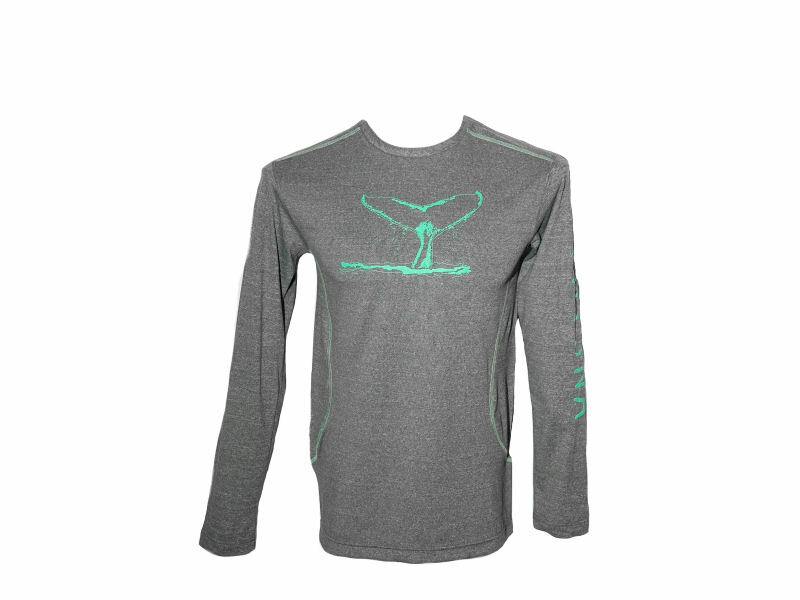 Charcoal melange brushed polyester spandex long sleeve shirt with mint stitching. 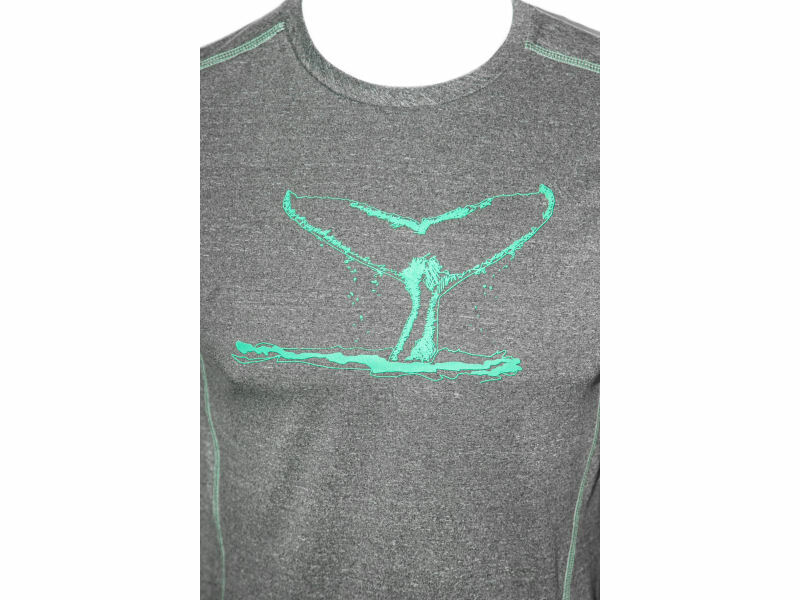 Mint whale tail print on the chest. 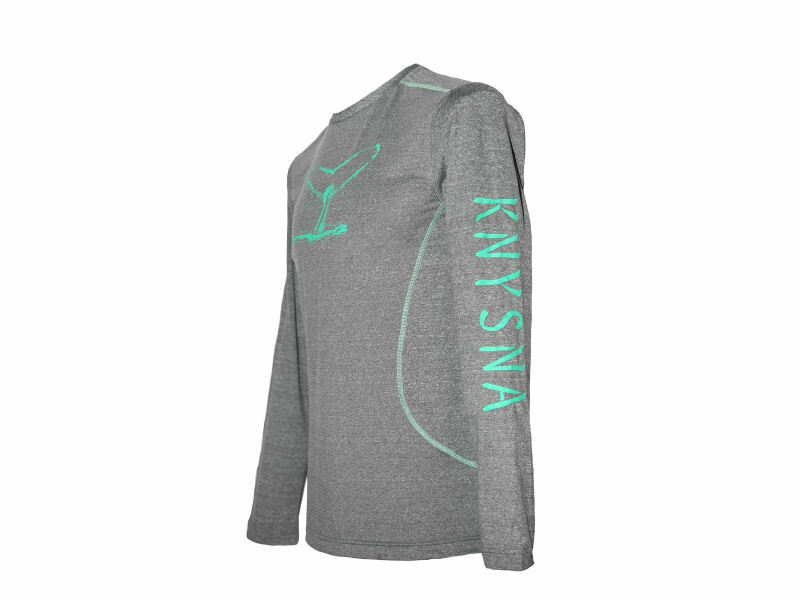 Mint “Knsyna” print down the left sleeve.